Syracuse - Syracuse was a Greek colony founded around 733 B.C. by a Corinthian named Archias. It eventually grew into a major ancient metropolis which dominated the island of Sicily and even briefly controlled the southern tip of the Italian Peninsula. 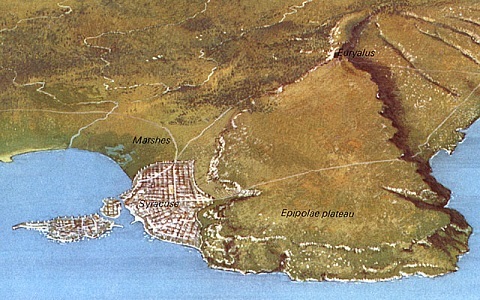 The city played a crucial role in both the Peloponnesian and First Punic Wars. It remained an independent city-state until conquered by Rome in 211 B.C.. During the Roman Period, it became an important port city. Along with Alexandria, Egypt, it was one of the two primary exporters of grain throughout the empire.